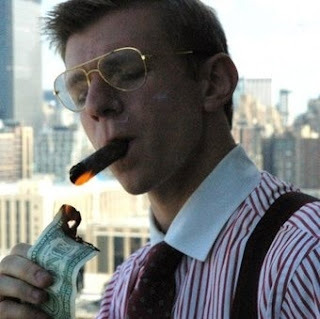 Here is something funny – James O’Keefe, the pretend journalist who makes little videos designed to expose wrongdoings in organizations like ACORN or NPR, has sent out an email claiming to be personally in debt to the tune of $50,000. On top of that, O’Keefe’s message asking for donations states that his company, Project Veritas, is seeking non-profit status. I have some problems with this email. Say, if he needs to raise some cash, why doesn't he sell on e-bay all of the items he intended to use on the CNN reporter?